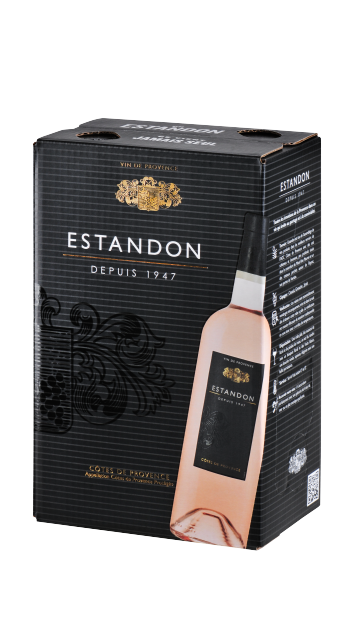 All the emotion of Provence in a wine which is an open invitation to pleasure and conviviality. Vintage after vintage, it remains the reference, synonymous with quality and relaxed enjoyment. 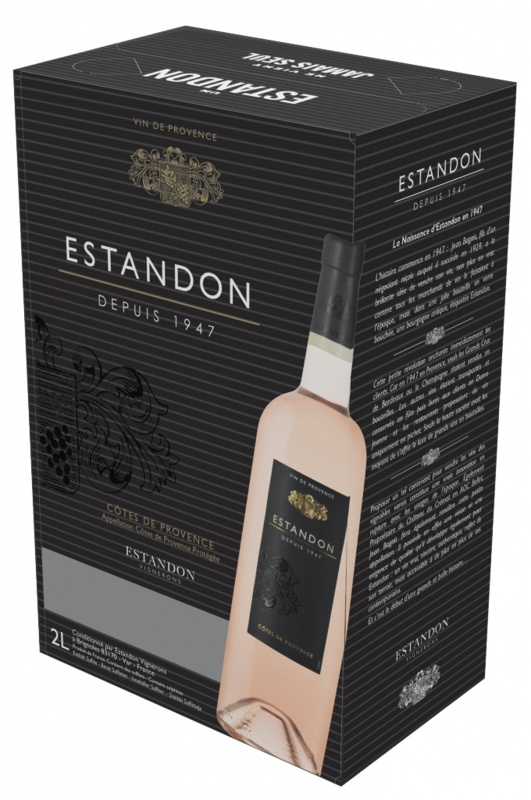 Estandon is made from a blend of wines produced in the best terroirs of the Côtes de Provence A.O.C. with shallow schist and loam soils located in the Maures mountains and on the hilltop slopes near Flayosc, on the doorstep of the Verdon. These ancient vineyards grow on countryside hills alongside olive trees and Holm Oaks. Other vineyards, located at a slightly lower altitude, on the clay-limestone slopes of the commune of Le Thoronet (home to the famous 12th century Cistercian abbey), and the variegated sandstone soil of the Cannet des Maures commune, enjoy an exceptional amount Provençal sunshine. Estandon Vignerons has a traceability process and a quality of production which has been IFS (International Food Standard) certified at the highest level since 2009. 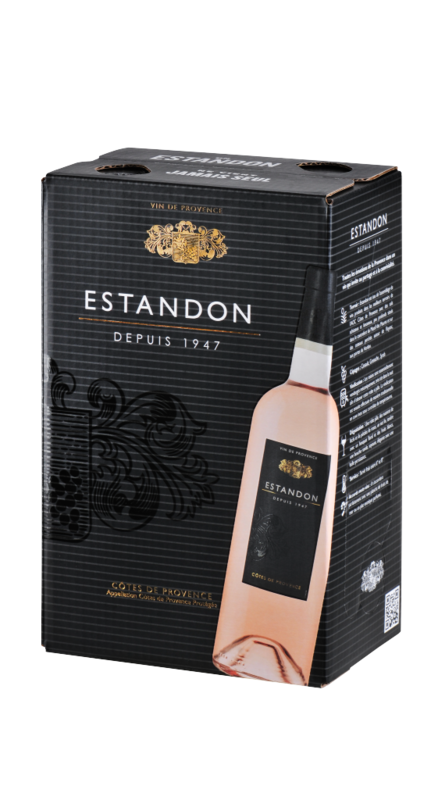 The AFAQ 26000 assessment also guarantees that Estadon Vignerons is committed to its social, environmental and economic responsibilities. Pale in appearance with lychee-colored shades, this vintage develops delicate,fresh aromas of peaches and pears. Delicious, soft and well-balanced on the palate. This wine should be chilled to about 8-10 °C before pouring.